GEO| Design+BIM is an exclusive platform in Europe that highlights and initiates discussions related to the use of geospatial data analytics and 3D modeling in spatial design, construction, operation and maintenance. The event, combination of two innovative platforms: GeoDesign Summit Europe and GeoBIM Europe, was rebranded in 2017. 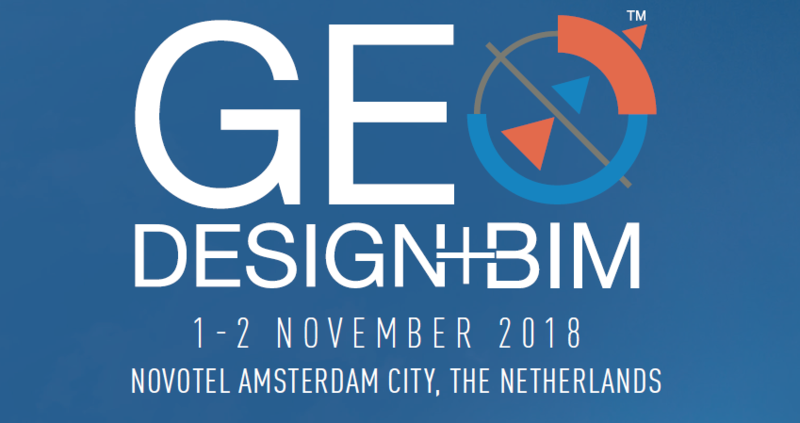 This year, GEO| Design+BIM will delve further into the integration of geospatial technology and BIM; and other associated industry trends including big data analytics, IoT sensors, drones, virtual reality (VR) and augmented reality (AR), robotics, cloud worksharing, modular/offsite construction, city information modeling, etc.